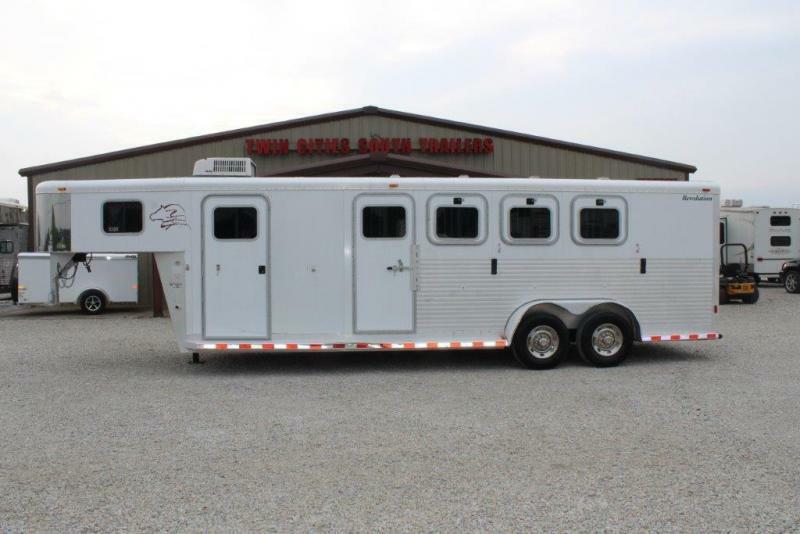 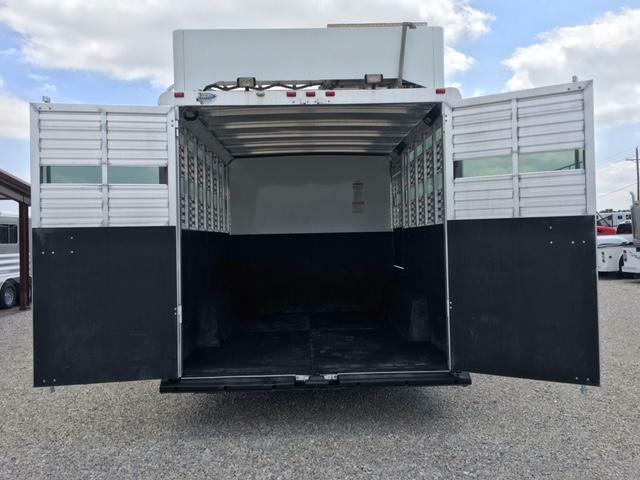 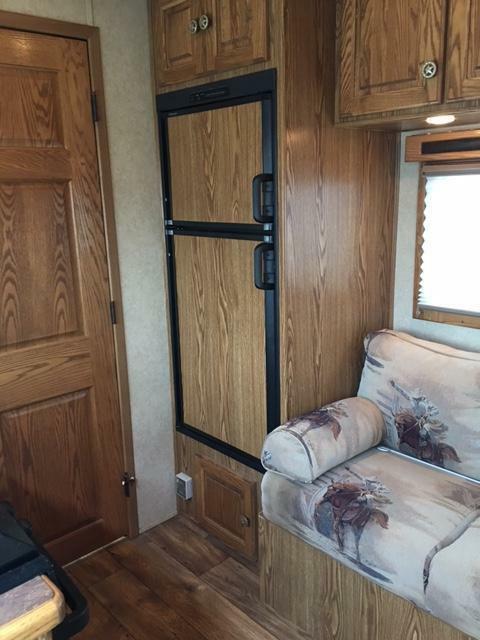 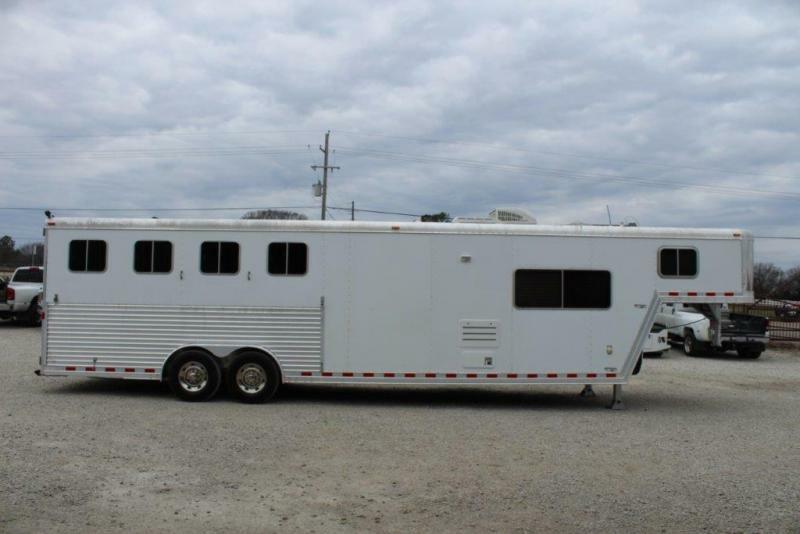 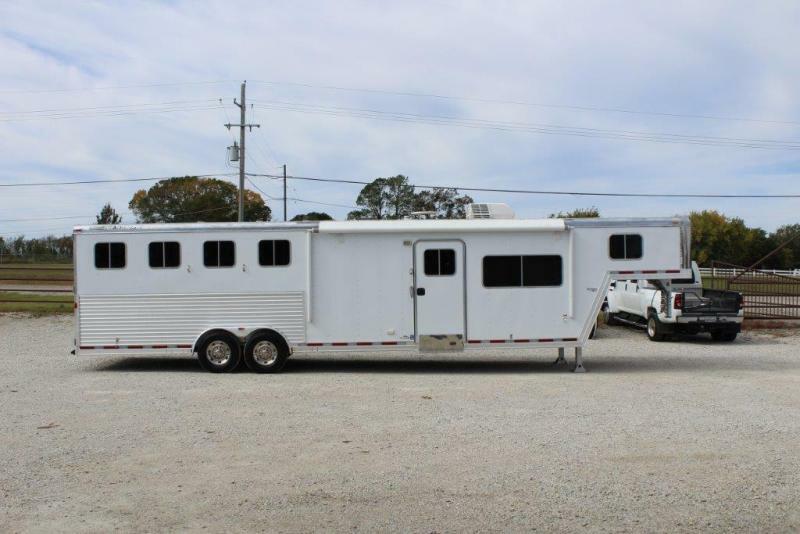 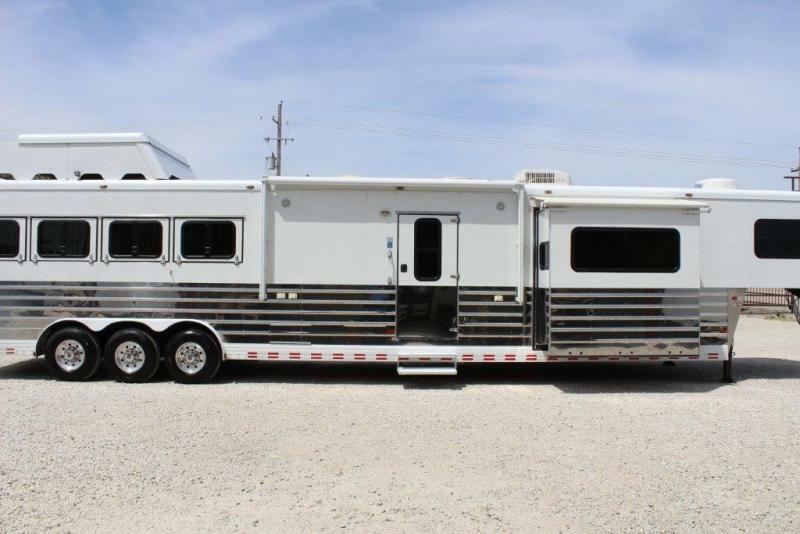 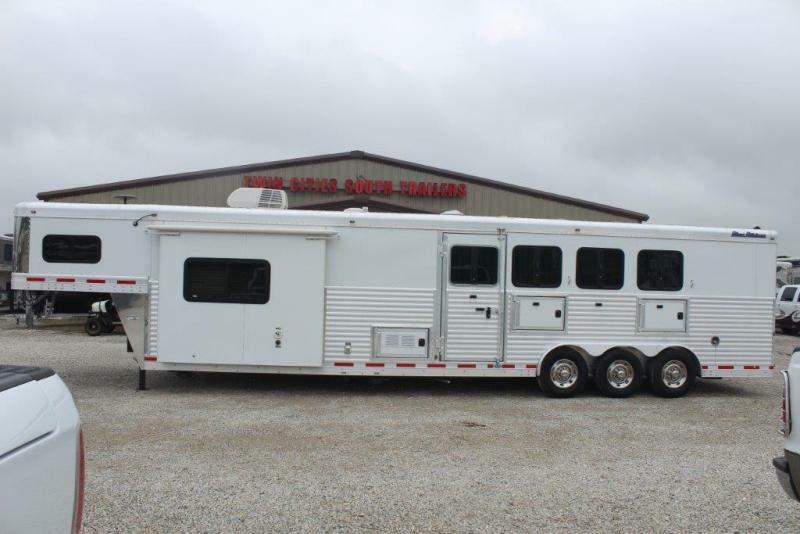 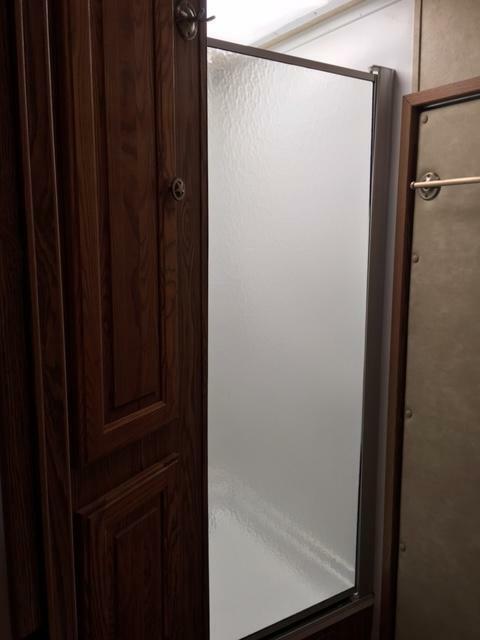 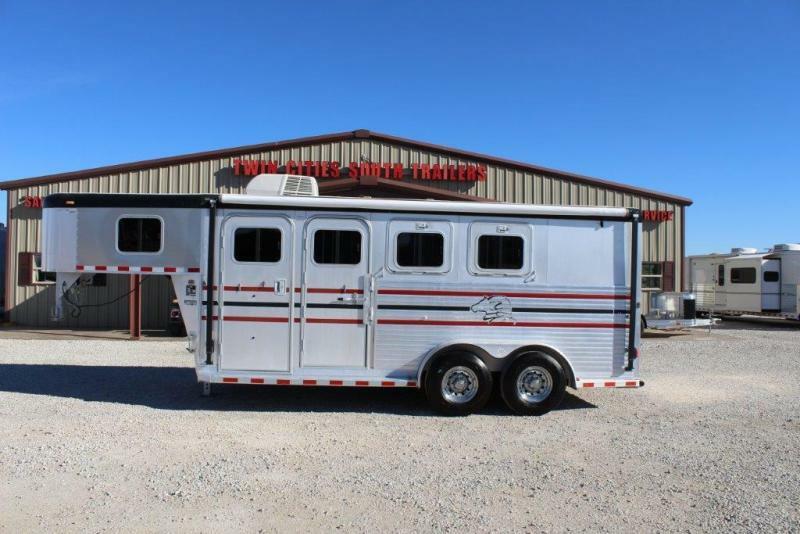 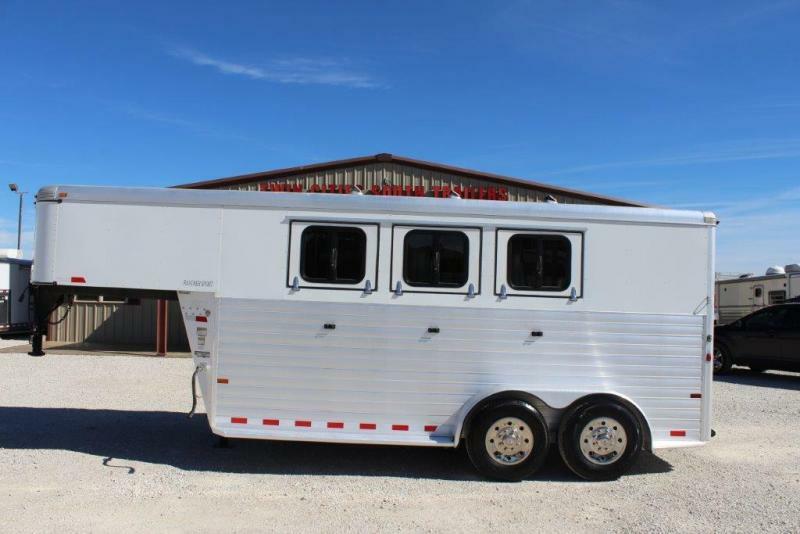 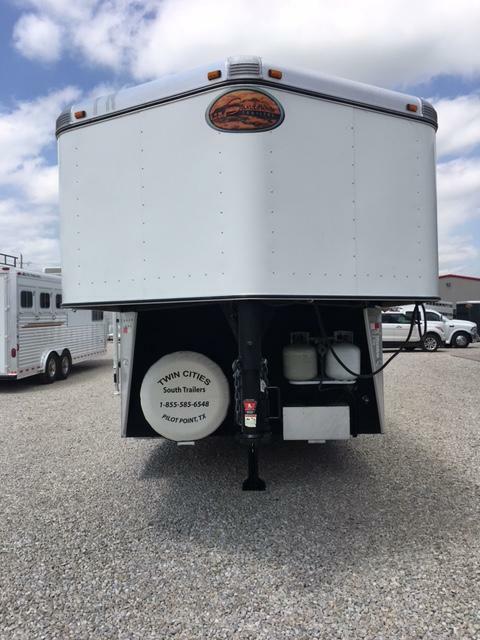 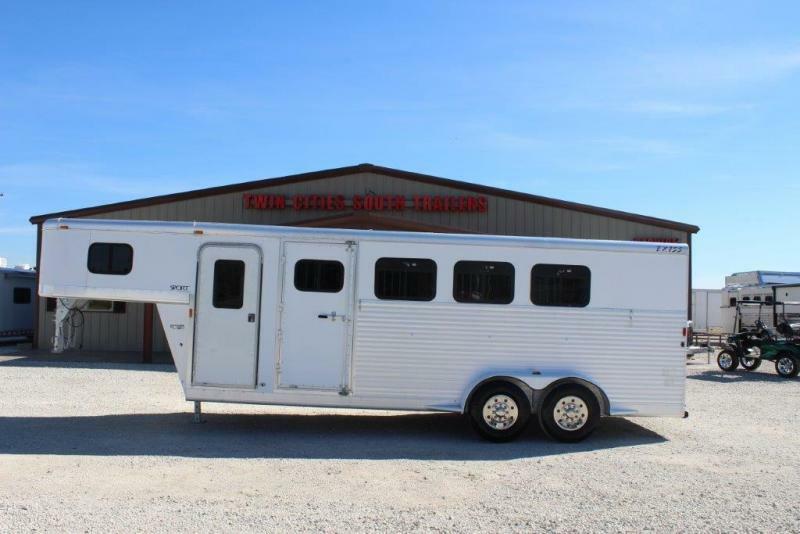 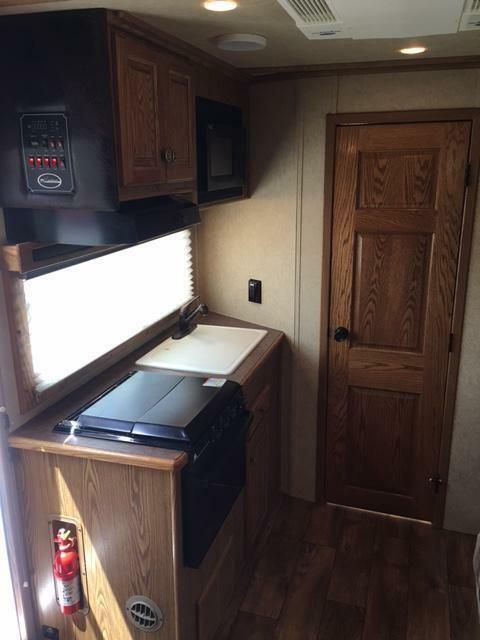 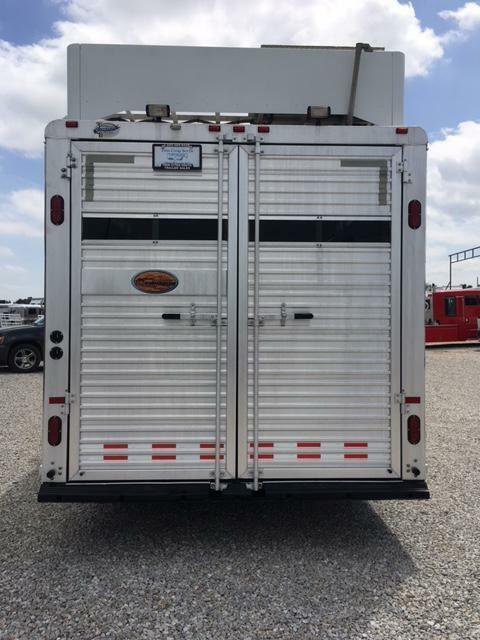 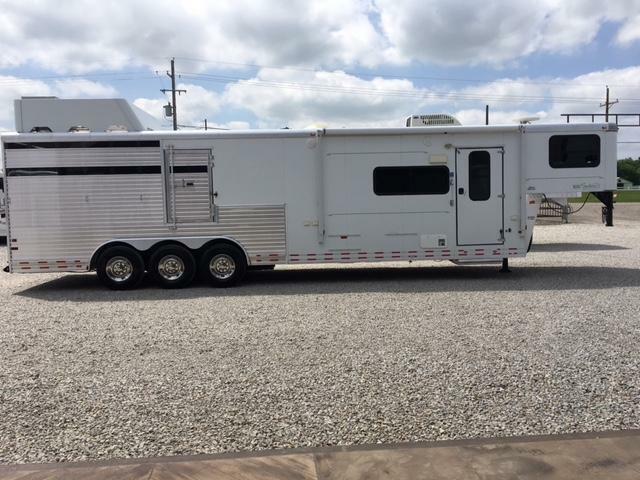 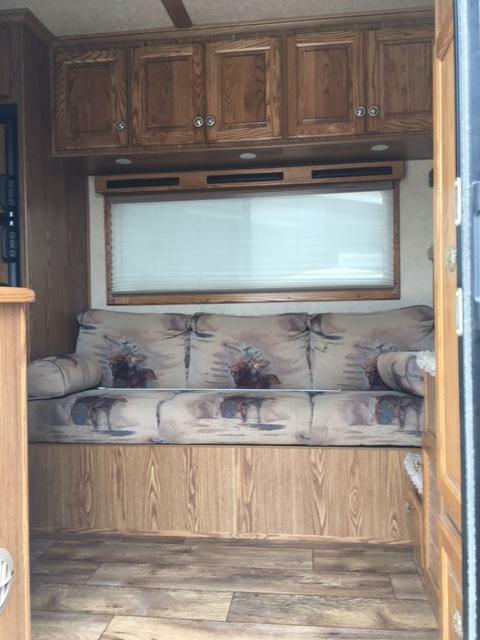 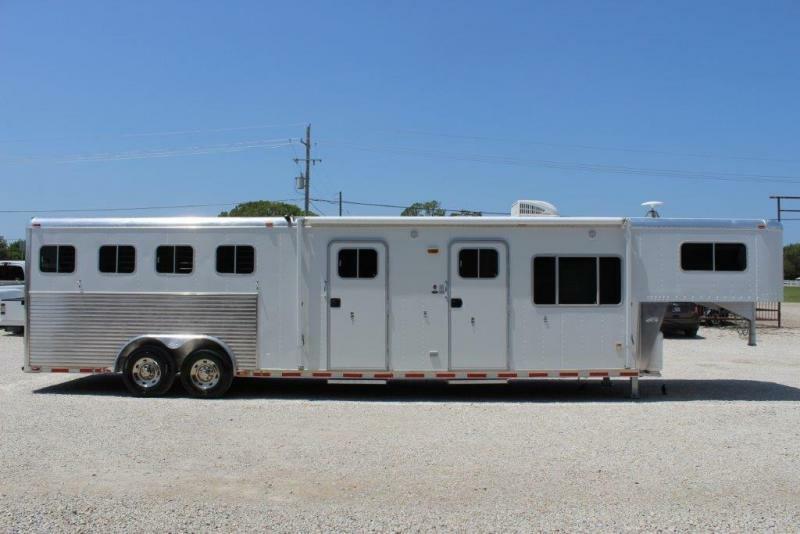 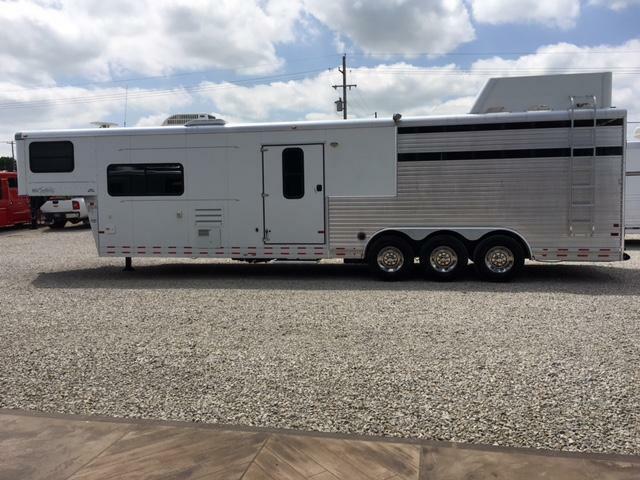 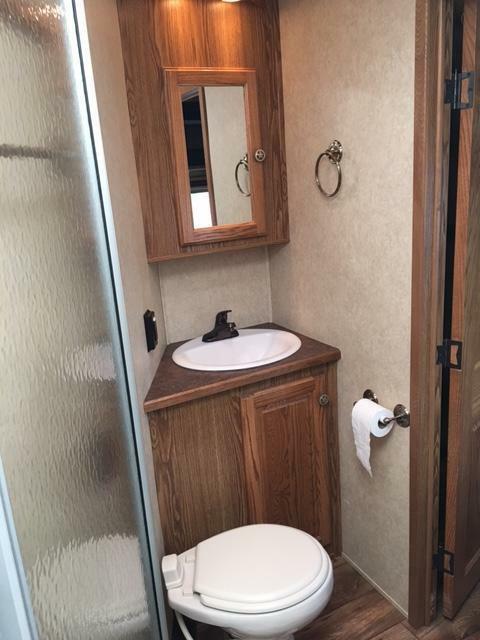 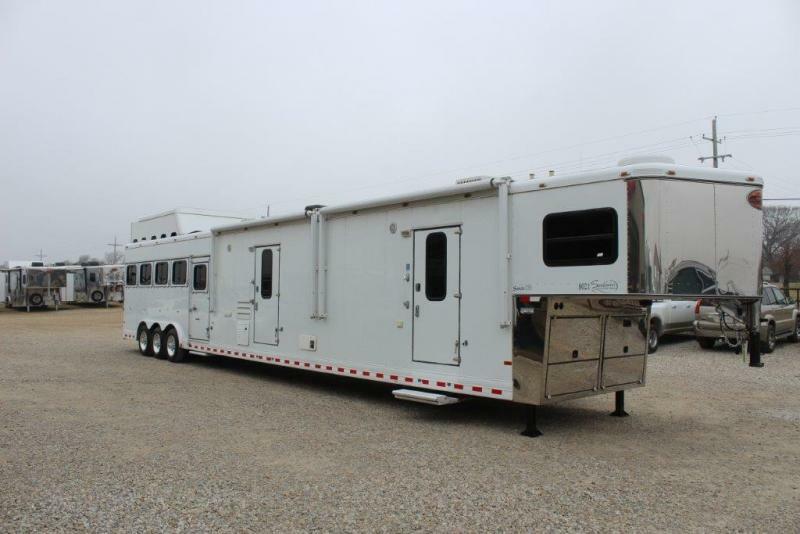 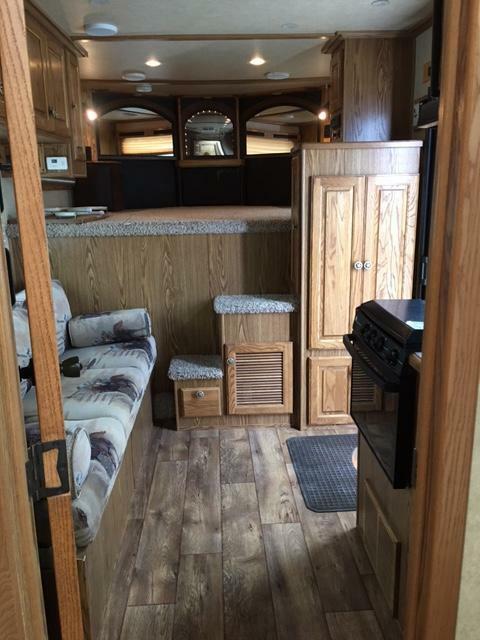 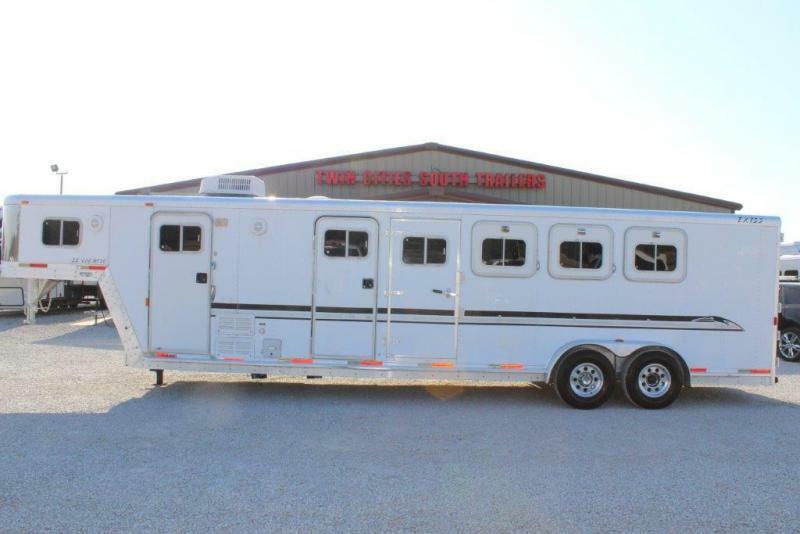 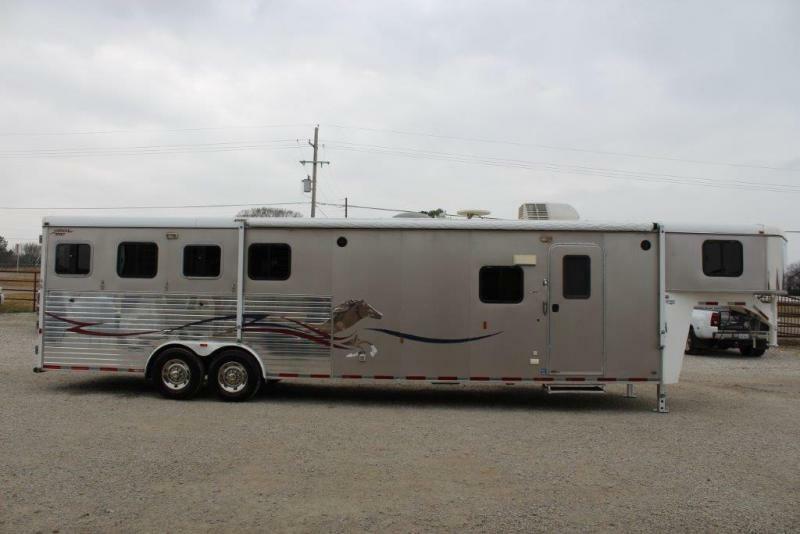 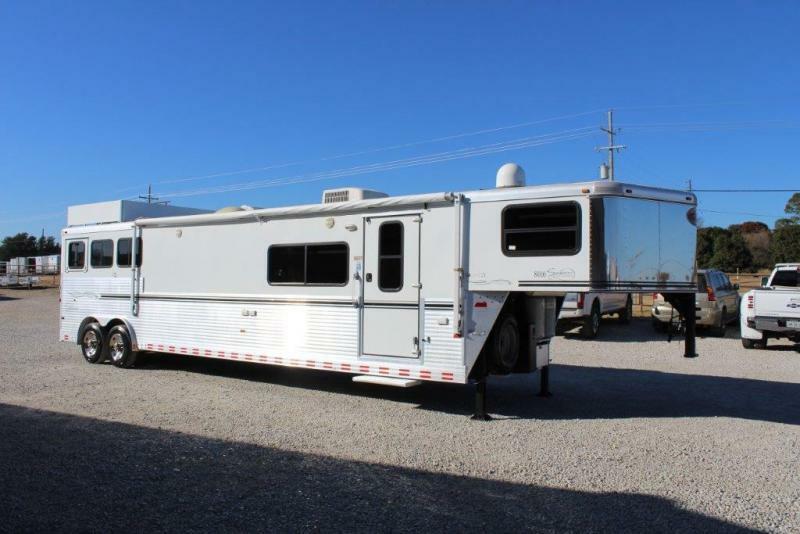 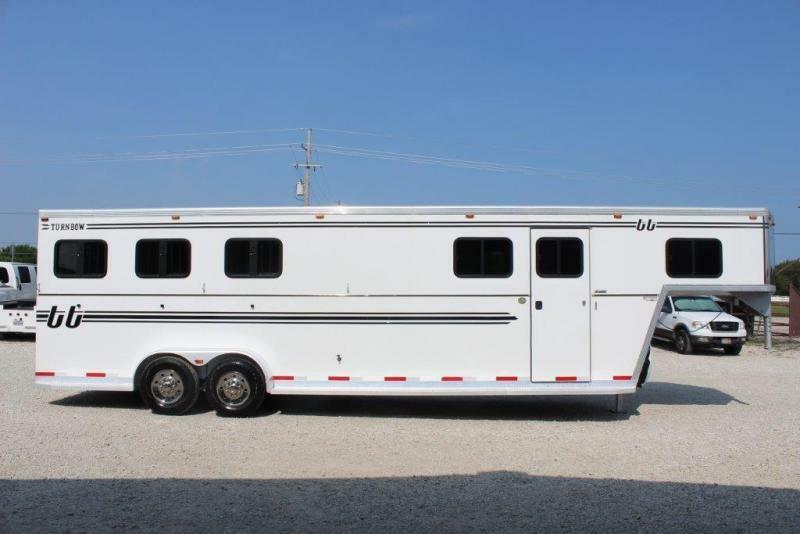 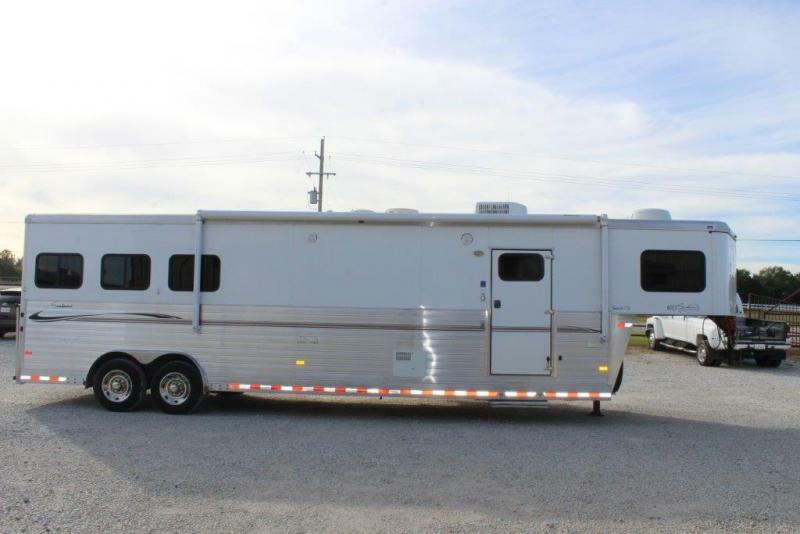 Very Nice 2008 Sundowner (Signature Series) all aluminum stock with 10' Living Quarter. 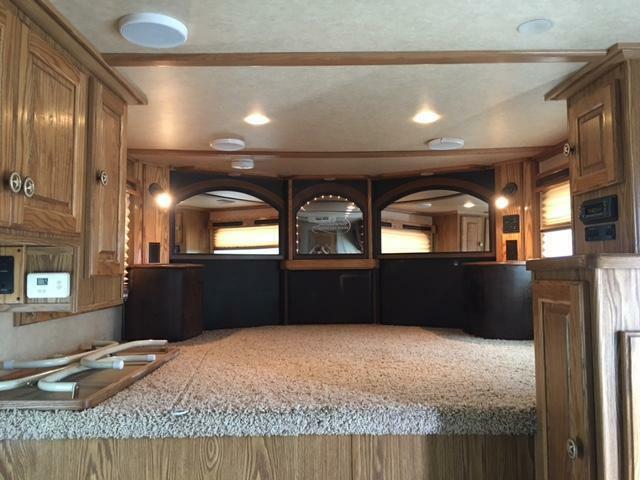 The interior has Oak Cabinets, Sofa (folds into bed) with picture window, overhead cabinets, large fridge with freezer above, cooktop with oven, microwave, sink, upper cabinets, lower cabinet, AM/FM/CD stereo system with inside/outside speakers, step up into bunk area with tan carpet, mirrored nose, reading lights, windows on each side, full bathroom with mirrored medicine cabinet, sink, lower cabinet, toilet, shower with glass door, walk thru door into mid tack with bridle hooks, blanket bar, brush tray, 3 tier swing out saddle rack, rubber mat on floor, horse area has rubber lined side walls, rubber floor mats, double rear doors, 6' hayrack with ladder, 12' awning, Onan 4K generator, triple axle, 16" rubber, hydraulic jack, 2 LP tanks, enclosed aluminum battery box and spare tire with cover. 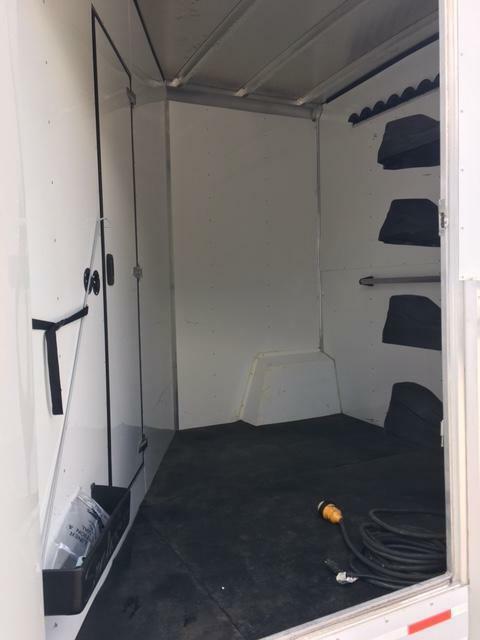 Trailer is 8 Wide. 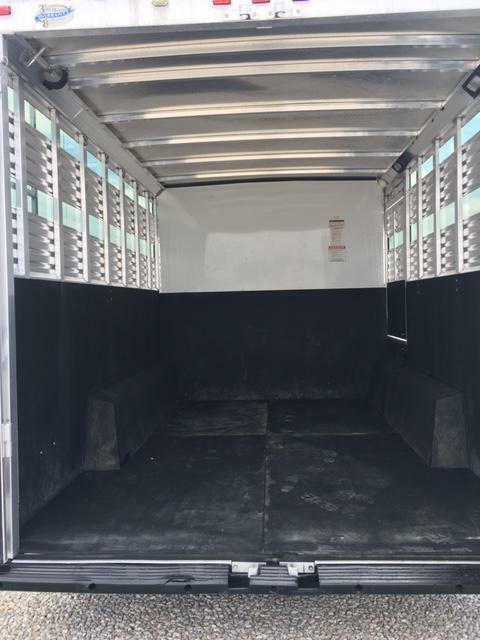 Mint Condition.